Rich creamy coconut milk alfredo sauce is simply delicious and a totally comforting sauce. This is a kind of healthy substitution to your regular alfredo sauce. Plenty of sauce would create creamy pasta or rice. An awesome healthy dinner you can get it right on the table in less than 20 minutes. Since this summer, most of the time, I try to make the healthy version of pasta as much as possible like this coconut milk alfredo sauce. Once the summer holiday season starts all the fun sessions begins right from cooking to eating. It is important to realize that summer not only brings holidays but also lots of food. You might be knowing that I have already come up with buttermilk pasta sauce, which was already a popular content here in this blog. Again I’m coming up with similar recipe ‘coconut milk pasta sauce’ because recently one of my readers asked to share the vegan version of buttermilk pasta sauce. Guess…Can you guess the next post in this blog? It is none other than the delicious Alfredo spinach pasta which is already waiting to come up next on the line. 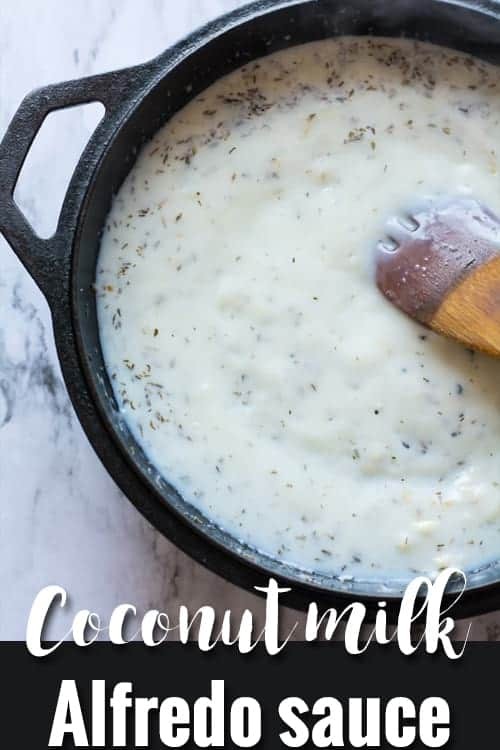 This coconut milk alfredo sauce is such an easy recipe to make in less than 20 minutes. All you have to do is just make sure that you have coconut milk handy or in your pantry. The coconut milk has the nutty flavor and has lots of medicinal values. In Southern India, coconut milk is used as a home remedy for stomach sour and mouth ulcers. I myself tried these remedies and these were working out for me. 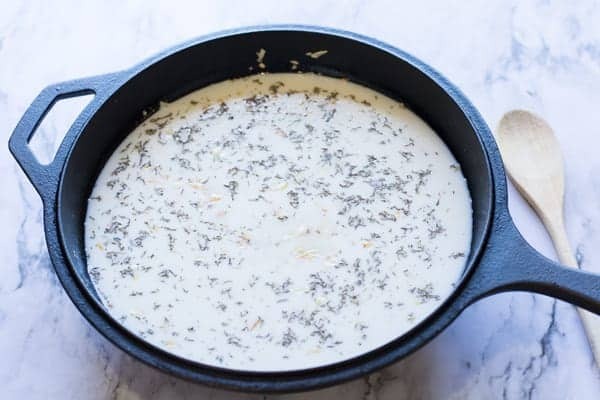 Coming back to this recipe, Vegan coconut milk alfredo sauce is for everyone who is eagerly searching for the vegan way for creamy alfredo sauce. 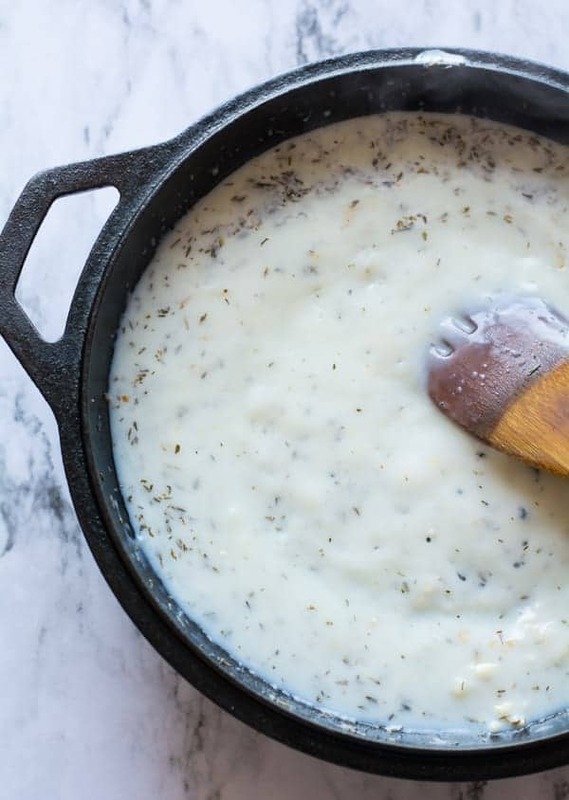 Making creamy coconut milk Alfredo sauce at home is so easy that does not takes much of your effort. I bet you will love this effortless fabulous dinner. The leftover sauce is so good to make Rice Risotto, creamy corn pasta or creamy shrimp pasta. There are many brands available for coconut milk and the taste may vary according to each of them. And ‘light’ and ‘original’ are the verities available in the market. And you may choose according to your preference. Here I have used ‘light’ version of coconut milk. Though I generally make coconut milk from the scratch most of the time. Most of you know that I always prefer to make the healthy food from the scratch as much as possible. Nevertheless, it involves lots of work but the end result would be awesome. 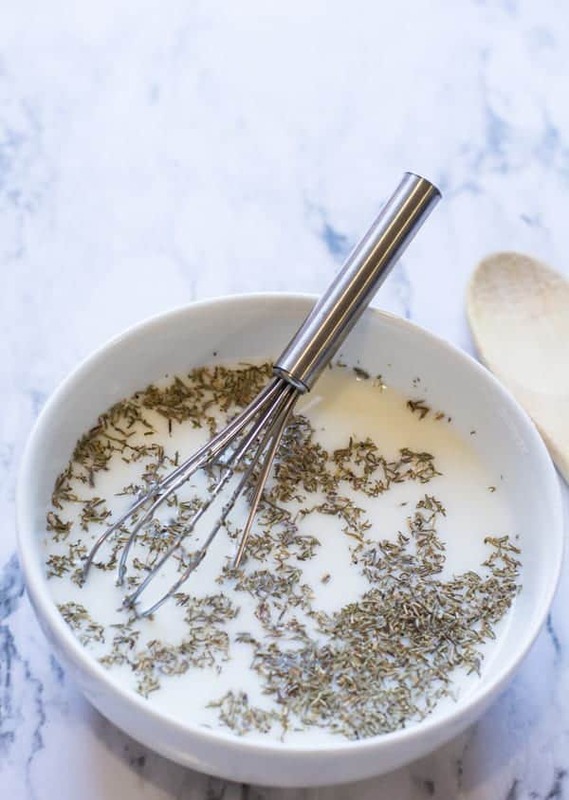 I used dried herbs in this recipe. But adding fresh herbs makes it more flavorful and more fresh, delicious. Coconut milk is already available in the market. To cut down calories always go for the lighter version than the regular version. The leftover sauce can be frozen and can be used later to make the dishes like Alfredo mushroom pasta, Risotto. Minced garlic to make it more flavorful, and this is the main ingredients for flavoring. I do not have any other ingredient to substitute this. Within a few minutes on the stove, the cornstarch thickening happens very fast, so keep an eye while cooking. But if it does thicken too much then your desired consistency, nothing to worry dilute with coconut milk or water. 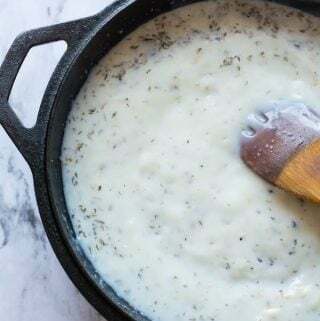 Thickening or thinning up the coconut milk alfredo sauce is so straightforward just add cornstarch for thickening and add more coconut milk for diluting. Rich creamy coconut milk Alfredo sauce is a simple and quick recipe. A healthy dinner in less than 20 minutes. Use this sauce for pasta or for noodles. In a mixing bowl combine all the ingredients together except garlic. Whisk it combine them well. And keep it aside. In medium flame, heat a pan. Add 1 tablespoon of cooking oil followed by minced garlic. Saute till it becomes golden brown. Add mixed ingredients. Cook till it reaches desired consistency. Add pasta and cook for a minute. Now this tasty pasta with coconut milk alfredo sauce is ready to serve. Delicious, quick yummy, will make again!! Thanks Nicole, glad you liked this vegan sauce!